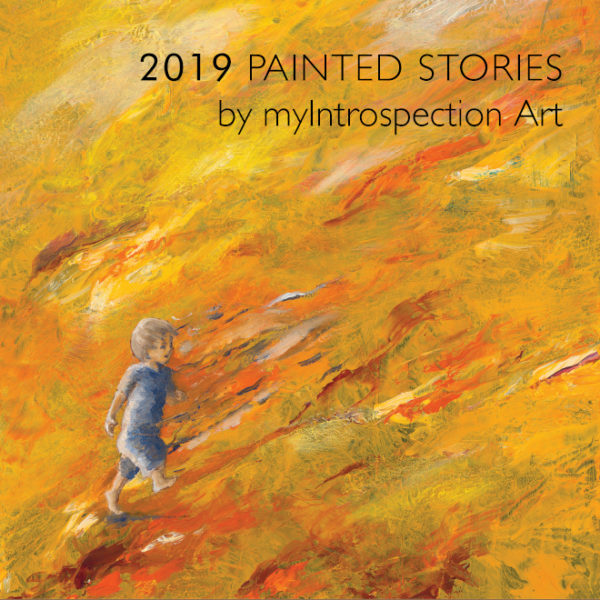 The Painted Stories by myIntrospection Art is a collection of expressionist paintings. 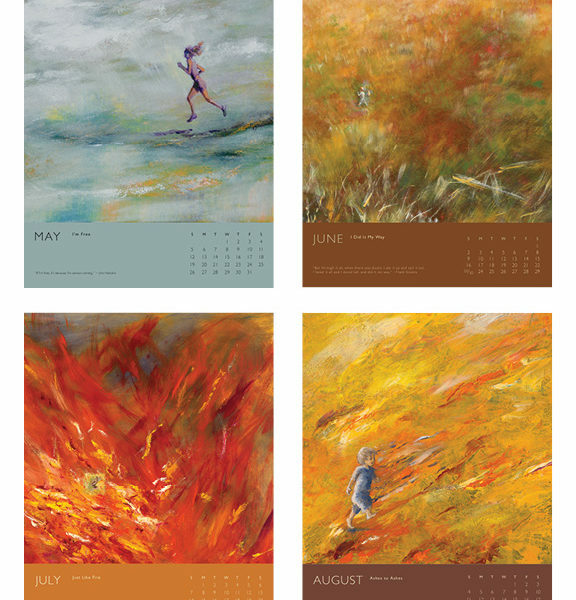 Every painting in this art calendar tells a story. 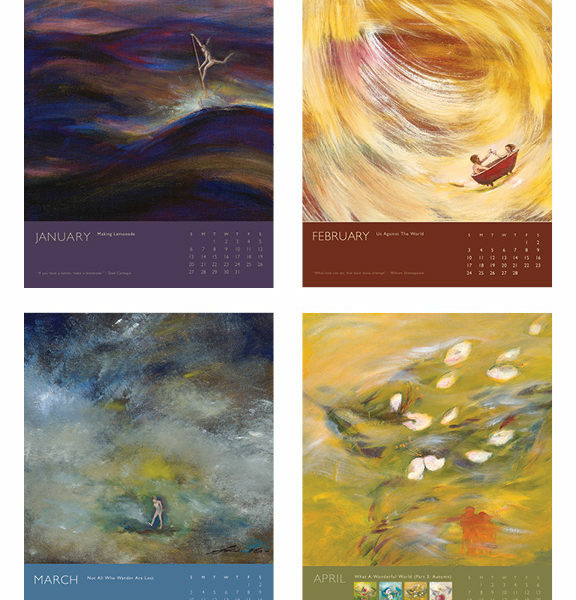 From the artist’s introspection to your introspection, the calendar is an inspiration for us to take time and reflect on our lives. 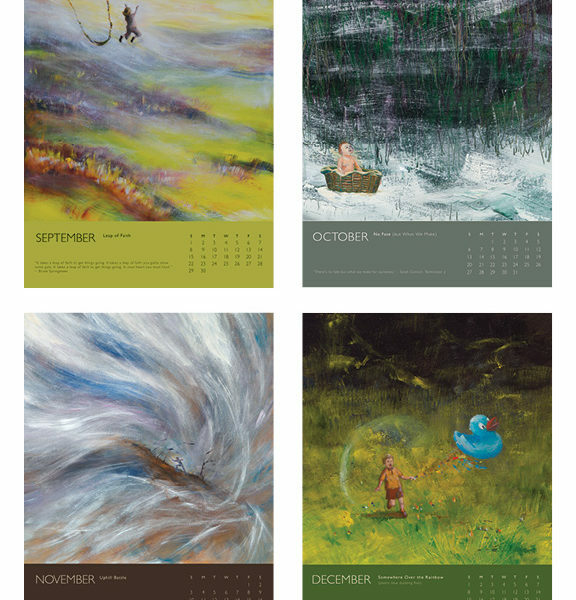 The Painted Stories Calendar by Stephen SoulDuster is a collection of expressionist paintings. 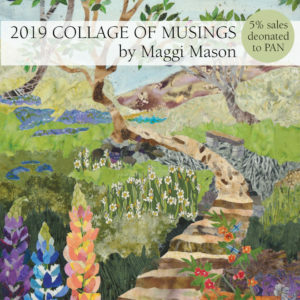 As the name suggests, every painting in this art calendar tells a story. It may be a story that reflects viewpoints, feelings, and tiny snippets of life. 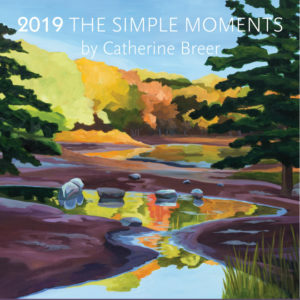 Each story is layered with meaningful poems, musical lyrics, and folk sayings. These are stories that we encounter every day and can relate to in our own lives. 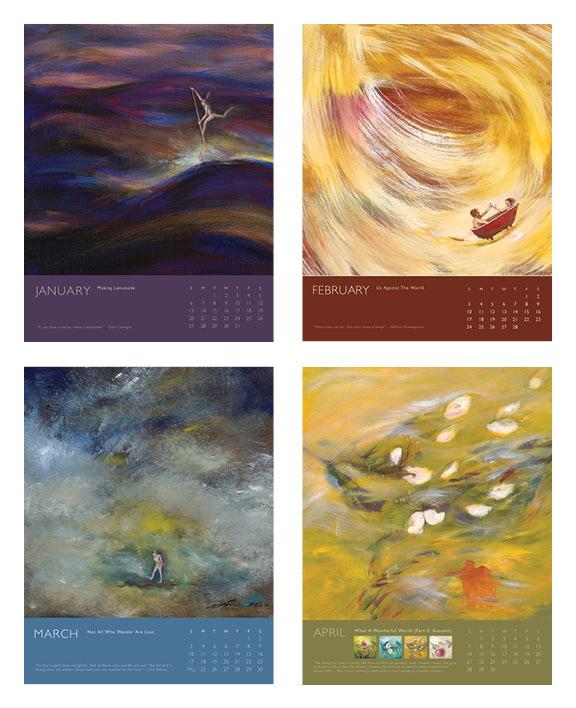 From the artist’s introspection to your introspection, the art calendar is an inspiration for us to take time and reflect on our lives. Art allows us to explore our emotions and feelings sometimes in ways that words cannot. Ever since I was a child, art has helped me verbalize my inner voice. This remained the focus of my art work, and the reason behind the name myIntrospection. To me, the emotions behind the artwork is more important than the aesthetics. 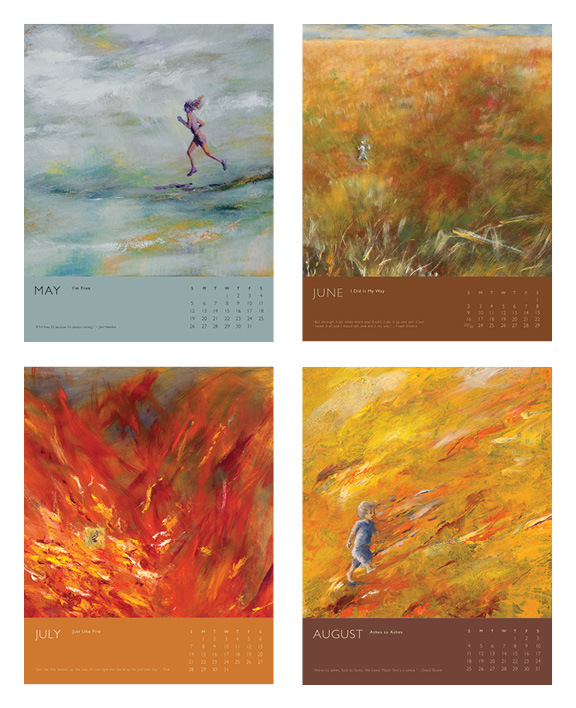 My current pieces are made up of abstract backgrounds that set the mood, and representational foregrounds that tell the stories. 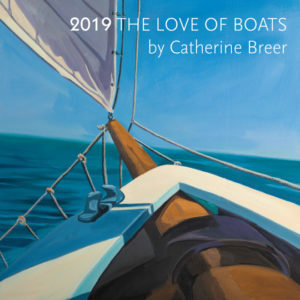 I very much hope that my work would resonate with my audiences’ own life experiences and inspire them to explore their emotions. I encourage you to substitute my stories with yours and make it your-Introspection. 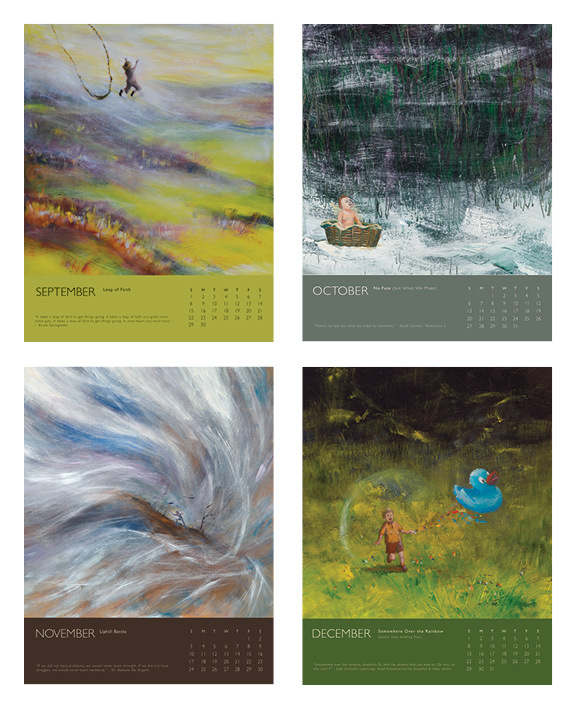 Each month comes in a 11″ x 14″ single sheet, suitable for framing. 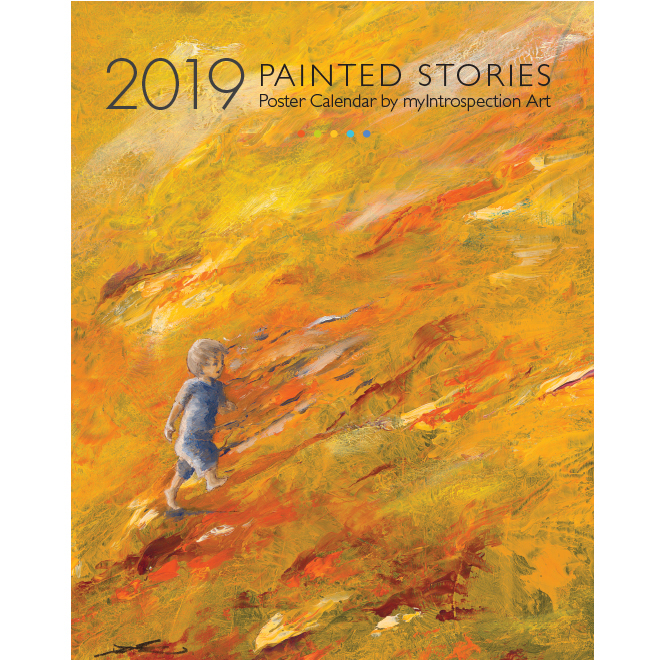 Calendar is printed on thick quality paper, using FSC (Forest Stewardship Council) stock with recycled content at a facility powered by wind power. Made in the USA.